Developed and refined over the course of thousands of years by the Chinese people for use in the prevention and treatment of disease,traditional Chinese Medicine (TCM) is one of mankind's greatest treasures. It should be possible for this medical system, together with other traditional medical systems, to play an important role in the maintenance of human health and well being the world over. In order to further enhance the ability of traditional medical systems, including TCM, to serve the needs of human health and well being, Chinese government has specially initiated this "International Traditional Chinese Medicine Program for Cooperation in Science and Technology" (hereinafter referred to as the " Program" ). As society and the economy have continued to develop, and in the wake of the concurrent advances in modern science and technology, dramatic changes have taken place in the lives and living standards of people. These changes have led to differences in the types of diseases faced by health care professionals and are also leading to gradual changes in medical and therapeutic models. As the limitations of western medicine in the treatment of certain diseases and in some areas of health maintenance and well being become more apparent, the international community has come to realize that the integration of the health concepts and effective practices of traditional medicines, including TCM, with western medicine has great potential to result in the formation of new health care models. As a result, many countries and regions have increased their support for traditional medicines in terms of their development and have begun to implement regulations, standards, and marketing channels. World Health Organization (WHO) emphasizes that traditional medicine can play an important role in achieving the goal of "Health for All", and is dedicated to facilitating the integration of traditional medicine with western medicine all over the world. As a consequence, the considerable scientific significance and market potential of traditional medicines, including TCM, are gaining international attention, and there is an ever increasing global market demand for the products of these health strategies. However, differences in culture, history, and religion from country to country, have meant that a truly western scientific understanding of TCM theory has yet to be developed and its acceptance by the international community has been slow. Even finding a common language between TCM and western medicine or other traditional medical systems has proven difficult and is, in fact, largely lacking. In addition, research protocols for the evaluation of the safety and efficacy of TCM are more complex than those for conventional pharmaceuticals, and there are still issues with the standardization of the objectivity and reproducibility of such research. Although TCM products are sold in many countries, the post-market surveillance system already in place that is used to monitor the adverse effects of such products is less than perfect. Moreover, there is a lack of technology and methods to effectively deal with the sharing of both the enormous amount of TCM information accumulated over thousands of years as well as the volume that is and will be continuously produced from current and future research and development ? information that would be useful in helping to avoid duplication and the waste of resources. There are also problems with how to fairly share TCM intellectual property rights with all the parties concerned, and how to conduct international research, education and training in TCM. At the moment, there is no efficient way to accurately and completely disseminate TCM knowledge to the world and assure the safe and effective use of TCM. The utilization of TCM in the prevention and treatment of diseases and the maintenance of health and well being is far from fully realized, and its potential warrants further exploration. Rapid development at the frontiers of research into the life sciences, biotechnology, information sciences, systemic sciences, etc., has led to the continuous expansion of knowledge, the emergence of a large number of databases, and the development of analytical tools and technology, which have offered new methods and approaches for use in addressing the key scientific issues surrounding the development of traditional medicines such as TCM. The resolution of these issues is likely not only to promote multidisciplinary integration and the emergence of new disciplines, but also to lead to historic changes not just in the development of biomedical and life sciences, but also to the whole of science itself. Within the context of these changes, it is obvious that those methods and approaches which facilitate the understanding of life processes and disease progression will be enriched and improved from holistic and integrating points of view. to facilitate East and West communication and promote the integration of traditional and modern culture so as to increase mutual understanding between different countries and nations, leading to the harmonious development of the world. Principle 1 is to advance research on the prevention and treatment of major diseases around the world with a view to facilitating the building of a harmonious society, and improving the standard of health care. Principe 2 is to encourage communication between TCM and western or other traditional medicine, and to increase the scientific understanding of TCM in order to promote the integration of the effective means and practices of TCM with western and other traditional medicines. Principle 3 is to develop broad bi- or multi-lateral cooperation tailored to the health needs and natures of the participating countries in accordance with international common practices, with emphasis on both the protection of the economic interests and intellectual property of all parties concerned as well as facilitation of mutual benefit from cooperation. Principle 4 is to enhance communication and cooperation on the development of regulations for governing and the protocols for evaluating such traditional medicines as TCM, in order to promote the sharing of information and resources and to assure their rational and widespread use. to promote the entry of TCM as well as other traditional medicines into the mainstream international medical care system, ensuring that TCM is able to play a role in meeting the health needs of mankind. The task is to utilize methods and technology from various disciplines such as epidemiology, evidence-based medicine and information technology, to conduct clinical studies on diagnostic and treatment procedures, to evaluate the diagnostic standards used by traditional medicines for evaluating a number of commonly seen major chronic and refractory diseases, including neuropsychosis, cardiovascular and cerebrovascular diseases, tumors, autoimmune diseases, malaria, AIDS, against which certain TCM practices have been demonstrated to have a unique advantage over western medical practices; to establish means and standards for the clinical evaluation of selected TCM practices so as to enable them to be recognized and accepted by the international community and to promote the use of these effective practices. Tailored to the diverse health needs and requirements of different countries and regions, studies are to be conducted on the effective application of selected practices such as acupuncture, massage and Qi-Gong in the prevention of chronic diseases and dis-ease and to work toward elucidating the mechanisms underlying these practices through modern scientific technology. In this way, the ability of TCM to prevent diseases and maintain health and well being will be enhanced and will better enable it to serve modern society's increasing demands on the health care system. In consideration of the different health needs and characteristics of different countries and regions, studies will be conducted using internationally accepted protocols utilized by western medicine and target products developed out of the theories and practices of TCM. Such studies will be conducted using the highest standards of rigorous science to examine TCM resources accumulated over thousands of years in order to facilitate the development of safe and efficacious TCM products of consistent quality and high market demand for use in the prevention and treatment of certain common major and refractory diseases and to thereof increase the contribution TCM makes to human health care. With regard to some of the issues surrounding the development of TCM products including the complexity of the ingredients, difficulties with quality control, the length of the production chain and the complexity of the manufacturing process, it will be a high priority to introduce and/or develop new technology and equipment applicable to the manufacture of TCM products. Pharmaceutical companies will be encouraged to invest in the set-up of R&D centers, manufacturing or cultivating bases and international sales departments, with a view to enhancing the availability, accessibility and affordability of TCM internationally. 5.3 Research into international standards and protocols for TCM. With an eye towards scientific and technological progress, the Program is to foster the establishment of standards and protocols for TCM, created in part by drawing on the experience and lessons learned from previous attempts to formulate standards and protocols for TCM or other traditional medicines. Such standards and protocols will be adopted for the implementation of tests and trials concerned with the diagnosis and treatment of disease, the evaluation of therapeutic efficacy, pharmacological and safety evaluations, quality control, etc., in the areas of medical practice, education, R&D and manufacturing. They must not only be subject to the recognition and acceptance of the international community but must also conform to the unique character of TCM. In addition, the Program will also support the creation of multiple language standard translations for TCM terminology as well as the preparation of technical guidance on international TCM product registration procedures. It will furthermore promote the gradual establishment of international TCM certification centers as a way of developing regulatory and quality assurance systems for use as reference standards in international TCM markets and to ensure its safe and effective use. The Program will focus on the promotion of collaborative ventures between international universities and colleges, research institutions, hospitals and pharmaceutical companies with a view to supporting the establishment of bi- or multi-lateral TCM collaborative centers of international excellence, including collaborative centers for clinical studies, safety evaluation and R&D, as well as other relevant collaborative centers/laboratories. Such centers will be tailored to the interests of governments and the academic community of the various countries and regions in question. These infrastructure networks are intended to focus research on clinical outcomes, the mechanisms underlying effective practices, new TCM products, as well as into the development of standards and methods, all of which will be subject to both recognition and acceptance by the international academic community as well as continuing to conform to the unique character of TCM. Supporting exchange and cooperation between TCM associa- tions and other academic institutions/organizations, e.g. associations of traditional indigenous medicine, offering to the international community a completely accurate, scientific and authoritative channel through which to understand TCM. The Program aims to encourage the training of professionals in the new paradigm of TCM in fields related to medical practice, education, R&D, manufacturing, sales and management and will integrate both modern and traditional medical experience in regulations, medical practices, education, R&D and the manufacturing of TCM products. Training will be especially focused on high-level native professionals from those countries and regions where professionals in traditional medicine are largely deficient in an effort to enhance the development of a local traditional medicine practice. 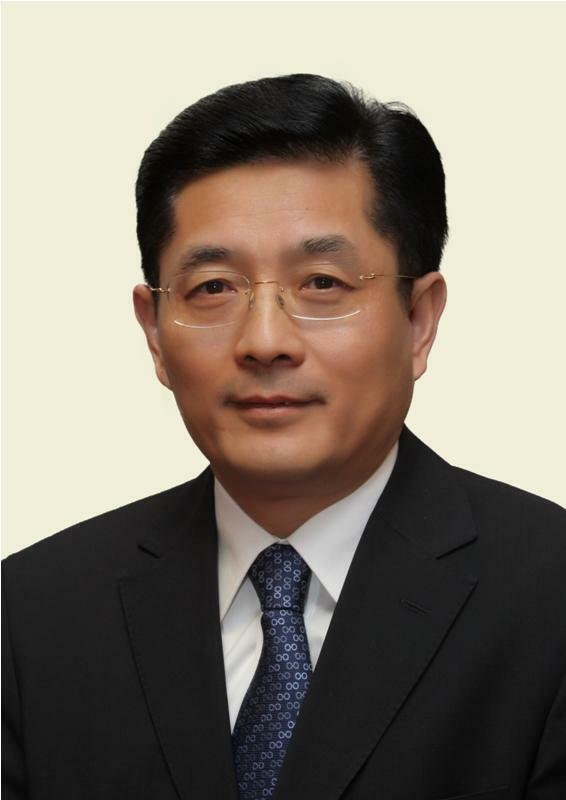 On behalf of the Chinese government, the Ministry of Science and Technology of the People's Republic of China shall collaborate with foreign governments and international organizations concerned to implement this Program and shall establish a Council for the Program to facilitate the initiation of a multi-lateral cooperative mechanism. The Ministry of Science and Technology of the People's Republic of China shall work towards organizing the invitation of well-known experts in the field of TCM or other relevant fields and the establishment of an international expert committee. The latter shall be responsible for detailing the priorities, tasks and patterns of cooperation overseen by this Program for the Council's consideration. The Chinese government shall provide funds for the initiation of this Program, and establish special funds for the implementation of the Program accordingly. At the same time, attempts shall be made to draw on the resources foreign governments have set aside for research into traditional medicines to jointly manage and implement this Program. Multinational pharmaceutical companies will also be approached and encouraged to invest in the Program.